Daimler Trucks North America, Thomas Built Buses’ parent company, donated $1 million to support High Point University’s Congdon Hall and Congdon School of Health Sciences. “This building and all programs in it represent an improvement in the quality of life for the people of High Point, throughout the state of North Carolina, throughout the country and even globally,” said Daniel Erb, dean of the Congdon School of Health Sciences. The Congdon School of Health Sciences and the Fred Wilson School of Pharmacy opened in August 2017 to educate future physical therapists, physician assistants and pharmacists. The building was named for Earl Congdon, executive chairman of Old Dominion Freight Line Inc., one of America’s leading transportation logistic companies with more than 20,000 employees. He and his wife, Kitty, and their family are strong supporters of HPU and the High Point community. Old Dominion Freight Line ranks No. 11 on the Transport Topics Top 100 list of the largest North American for-hire carriers. “This gift reflects the mission and the ties that bind HPU, the Congdon family and Daimler Trucks North America together, as we all have an interest in the health and well-being of people in our communities who drive our trucks, build our buses and support our businesses,” said Roger Nielsen, CEO of DTNA. The manufacturer’s Thomas Built Buses business is based in High Point, where it employs nearly 2,000 people to assemble a full line of school, activity, commercial and child care buses. DTNA, headquartered in Portland, Ore., is the leading heavy-duty truck manufacturer in North America. It produces and markets commercial vehicles under the Freightliner, Western Star and Thomas Built Buses nameplates. 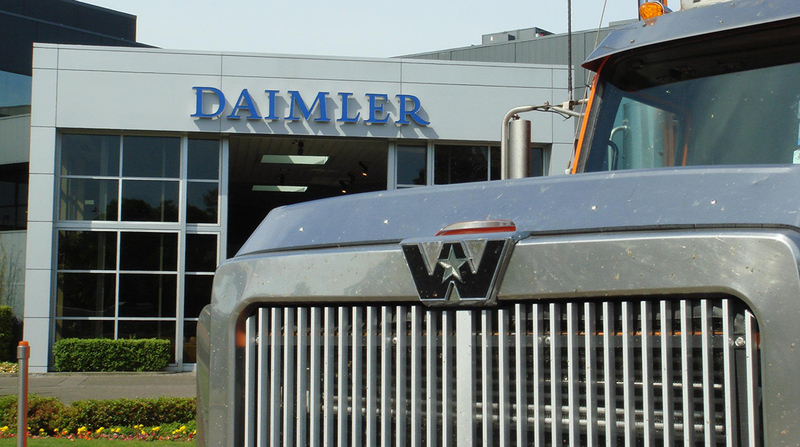 Daimler Trucks North America is a Daimler company, the world’s leading commercial vehicle manufacturer.